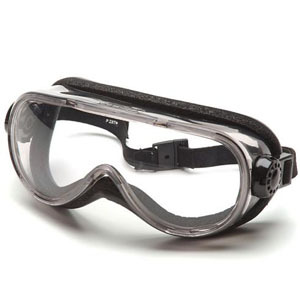 •Top shelf chemical splash goggles features generously sized heavy duty body and lens. •Special one-way vent allows air to enter while keeping liquids out. •Body tinted to reduce glare.